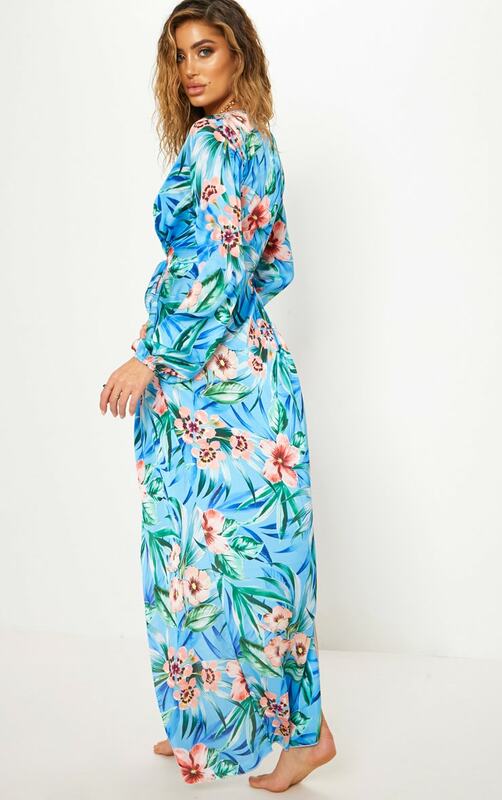 Kimono are essential for every vacay girl, and we are loving this maxi floral kimono. 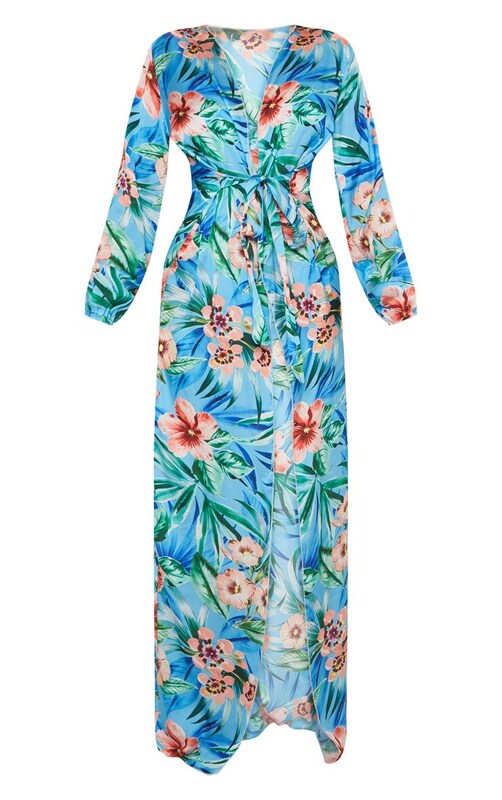 Featuring a blue satin material with a floral print design, a floor-sweeping length and a tie detail. Look poolside ready in this kimono and the matching bikini, finish off the look with wedges and your fave sunnies.